Medicare Part B premiums increase for new enrollees in 2017. For those who were already enrolled in Medicare as of 2016 and who were getting Social Security, the 2017 Medicare Part B premiums rise slightly from $104.90 per month to $109.00 - that is if your income was below certain threshold amounts. High-income earners pay more for their Medicare Part B premiums. The income is determined by your tax return two years prior. So if your first year on Medicare is 2017, your 2015 modified adjusted gross income (MAGI) (based on the numbers in your tax return) will be used to determine your premium amounts. It is based on the schedule below. If you were already enrolled in Medicare and collecting in Social Security in 2016, then use the 2016 column above - as your premiums should not have gone up unless your income crossed a threshold amount. How Does Medicare Define Your Income When Determining Your Part B Premium? The income used in determining your Medicare Part B premium is taken from income reported two years prior on your IRS income tax return. If you sold a home or business or had a large bonus, it may have boosted your income in a prior tax year, and it can then result in increased Medicare Part B premiums a few years later. The Internal Revenue Service supplies your tax filing status, your adjusted gross income, and your tax-exempt interest income to the Social Security Administration to determine your income for the purpose of seeing what your premiums will be. When the Social Security Administration reviews your benefits application, it will add your adjusted gross income (AGI) together with your tax-exempt interest income to get an amount called the modified adjusted gross income (MAGI).This number is used to determine your Medicare Part B premium. 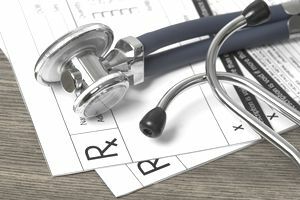 If you are subject to a higher Medicare Part B premium, you can appeal the decision if your income has gone down for certain reasons, such as retirement,death of a spouse, divorce, etc., or if you filed an amended tax return. Additional information on Medicare Part B premiums can be found on the Part B costs section of the Medicare website. What About the Medicare Part B Changes in 2018? In 2018 the cut-off income levels at which you become subject to higher premiums will change. Higher premiums will now begin at lower MAGI levels. It will affect singles with MAGI's in excess of $133,500 and married couples with MAGI's greater than $267,000. This change is expected to affect 800,000 beneficiaries. The income will be measured by what shows up on your 2016 tax return. *The premiums in the 2018 table above do not factor in increases due to inflation that may be applied. Thus premiums in 2018 may be higher than depicted.